For the second time in less than a week an MIAA A Conference baseball team moved one of its home games with Calvert Hall to the Cardinals home turf field, because of wet field conditions, and in both cases the Cardinals were tagged with a loss. Saturday afternoon St. Mary’s ventured north from Annapolis and kept its narrow playoff hopes alive with a huge 6-3 victory over Calvert Hall, walking-off the Cardinals with Nick Quinn’s three-run home run in the bottom of the seventh inning. The game was tied 2-2 heading into the top of the seventh when Calvert Hall took a one-run lead on JP Murphy’s sac fly. The Cardinals then retired the first two Saints in the bottom of the seventh before St. Mary’s began their rally with a Brandon Cook (3-for-4, 2 runs, 1 RBI) single. Nick Hopkins followed with a walk and Chase Hilliard then ripped a ball to third that should have been the final out, but it was booted. Cook scored on the play and Quinn stepped to the plate. He drove the first pitch he saw over the left-field fence for game-winning three-run home run. Calvert Hall (15-7 overall, 10-5 MIAA A) took a 2-0 lead in the second inning when Ethan Koster stroked an RBI triple and then scored on a passed ball. The Saints evened the score in the bottom of the third with an RBI triple from Cook and a fielder’s choice grounder off the bat of Hopkins. Cook, who pitched the seventh inning for St. Mary’s (9-9 overall, 5-6) , was the winning pitcher. Brock Goodwin made the start for the Saints and tossed six strong innings allowing seven hits and two runs (one earned). Brady Power, who pitched the final 3.2 innings for the Cardinals, suffered the loss. Also on Saturday in the MIAA A, No. 3 Archbishop Curley slipped past Gilman, 5-4, in eight innings at Gilman. Tyler Locklear produced the game-winning hit with a two-out double in the eighth inning. It was 25th RBI of the season. Paul Nixon hit a three-run home run in the top of third to break a scoreless tie and the Friars (21-3 overall, 13-2) stretched their lead to 4-0 when Jalen March (3-for-5) drove in a run in the fourth inning. Gilman (9-11 overall, 7-7) battled back with two runs in the fourth and single runs in the sixth and seventh. Alex Slodzinski singled in the first run and Joe Melancon added a sac fly to cap the Greyhounds’ two-run fourth. Melancon drove in another run, with a fielder’s choice, in the sixth, and yet another fielder’s choice RBI, by Casey Bishop, tied the game for Gilman in the seventh. Corey Burton pitched seven innings to earn the win for Curley and Jeffrey Calderon pitched a scoreless eighth to get the save. Max Costes was the losing pitcher in relief for Gilman. The results of these two games impacted both ends of the playoff chase. At the top it clinched a top two seed for John Carroll (12-1) and it moved Curley into a virtual tie with the Patriots for first place, in advance of their meeting on Saturday at Curley. Curley is also with a whisker of clinching a top two seed. 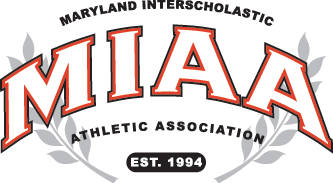 Both Curley and Calvert Hall have three games to play, including a head-to-head meeting on May 8th. For the Cardinals to overtake the Friars, Calvert Hall must win its last three games and Curley must lose all three of its games. Gilman currently holds sixth place and the final spot in the playoffs, but St. Mary’s is now within a half game. The Saints still have five games to play, including a make-up game with Archbishop Spalding on Sunday and a huge home game with the Greyhounds on Tuesday. Pictured above: St. Mary’s Nick Quinn hit a walk-off three-run home run to give the Saints a 6-3 home win at Calvert Hall.